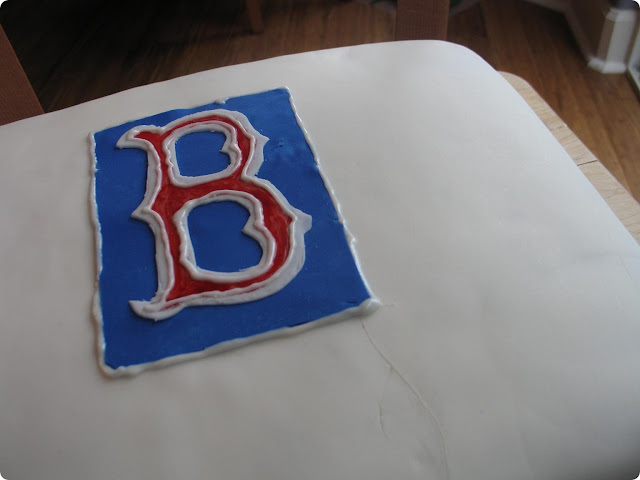 Yesterday was my son's end of season baseball party and I volunteered to make the cake. I've been itching to have an excuse to play with fondant and I had grand ideas on how I could use it in a baseball theme. Well, working with fondant was a lot harder than I ever thought it would be But, you have to start somewhere, right? It cracked pretty much the moment I put the fondant on the cake and making the logo too FOREVER. Seriously, the amazingly talented artists on Ace of Cakes make it look so easy! I didn't really care for the buttercream frosting I made (I'll spare you the recipe), but overall the vanilla cake was good. It had a the delicate wedding cake texture I was looking for and the flavor was great. The Wilton fondant I used left much to be desired. It tasted terrible. Does all fondant taste like that? It's a little hard to see but the cake had four layers (I split the two layers I made). I alternated mini chocolate chips and strawberries between each one. I should have ditched the chocolate chips and just did strawberries throughout. They were yummy! Yield: I doubled the recipe and made a double layer-half sheet cake. I was able to get about 50+ pieces. Would I Make This Again? I would use the cake recipe again. I loved the flavor and the texture. It was great! 4 out of 5 stars. I do need to find a better buttercream and better fondant. Suggestions welcome! 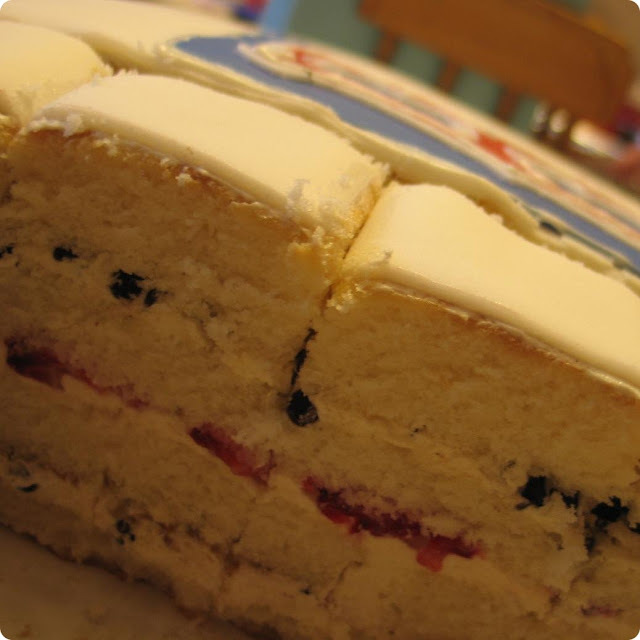 Well done, making cakes is painstakingly slow sometimes, but generally worth the effort. I was able to locate a marshmallow fondant that sounds super easy to make and probably tastes a heck of a lot better. I haven't used it yet, but here's the link! rebecca - Thank you for our kind words! Your catfish cake blew me away! Wow! I now have a totally new appreciation these types of cakes now. 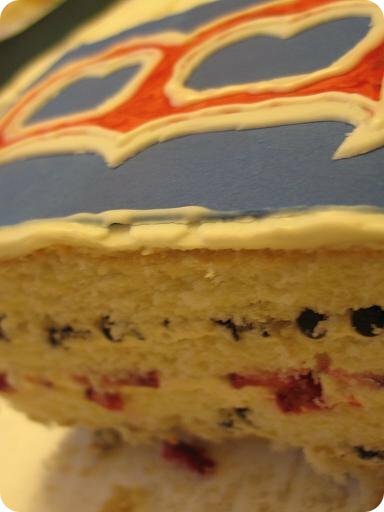 Are you going to post your hockey team cake?? sarah - thanks! Some are faster than others, that is for certain. I really love your cake creations! Your truck is adorable! Mightymomelissa - thank you! That recipe does look good. I'm going to have to give it a try. Thank you SO much for sharing it! I'll let you know how it turns out. Fondant definitely needs practice. You can smooth out the cracks by rubbing them with your hand. The warmth sort of patches up elephant skin. Also, it's a lot easier when you use a fondant smoother. But props to a very smooth looking cake for a first timer! -A Yanks fan :) tee hee. What I usually do when making this is beat the butter, add powdered sugar and the milk. If it is too runny or tastes like a butter mixture I add more powedered sugar. If it then gets too thick , I add more milk. If you want a chocolate frosting, add cocoa. Wow! Nice work. I recently did a pastry class and we were given a fondant recipe. I have it somewhere so I'll try and find it for you. Looks delish. I don't think I've ever met a fondant that tasted good. But it makes cakes look beautiful - which makes it a necessarily evil, I suppose! the marshmallow fondant is tasty. good looking cake. great job for first time fondant usage. 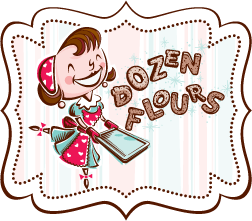 if you are looking to make fondant easier to use - try kneading a little bit of Crisco into it. wilton fondant tastes terrible. Even when you mix flavoring in, it still tastes like crap.